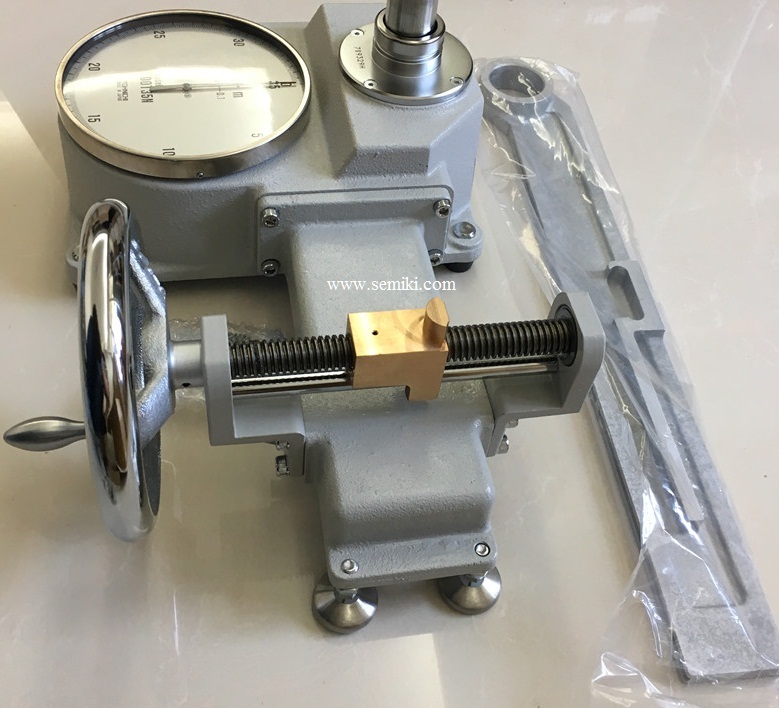 - Dial indicating torque wrench tester with mechanical loading device. - Since torque wrench is designed to set horizontally, wrench weight correction is not necessary. 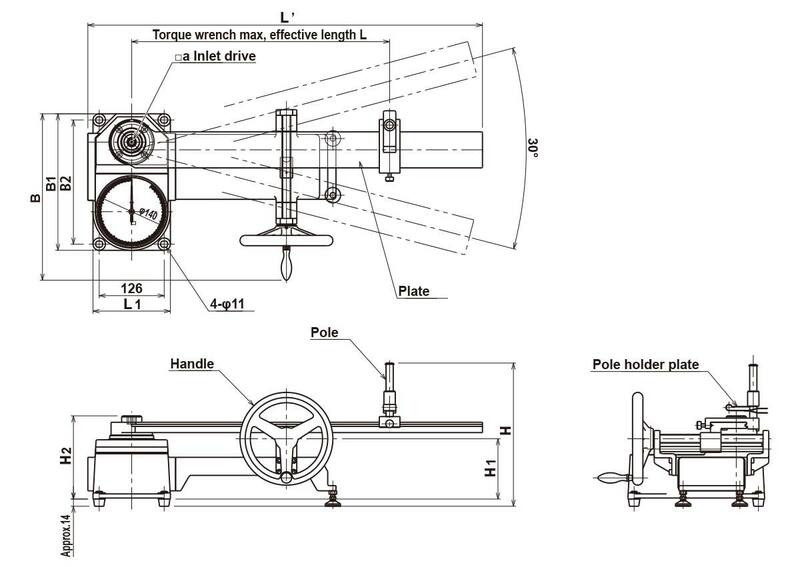 - Pole plate available for all models, which helps horizontal setting of torque wrenches. 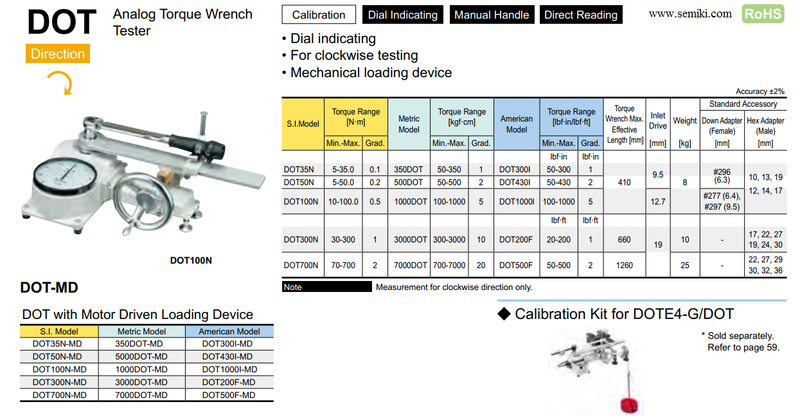 - Torque wrenches can be calibrated easily by rotating the handle. 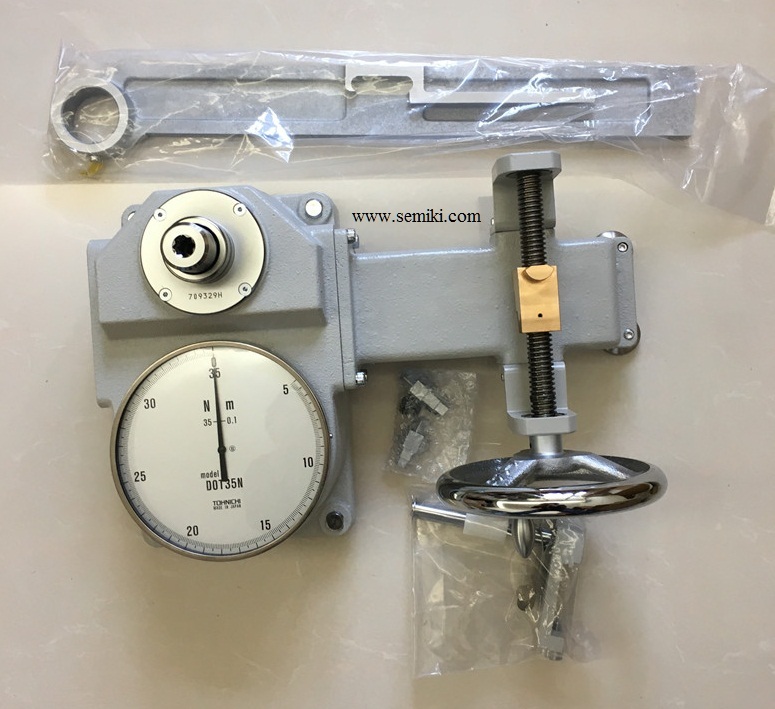 - The loading device is designed to apply load accurately against the effective line of torque wrench, which maintains a stable calibration conditions and prevents individual errors. - For markets outside Japan, our products are manufactured to both metric standards of measurement (kgf, cm, etc.) and American standards of measurement (lbf, in, etc. ).